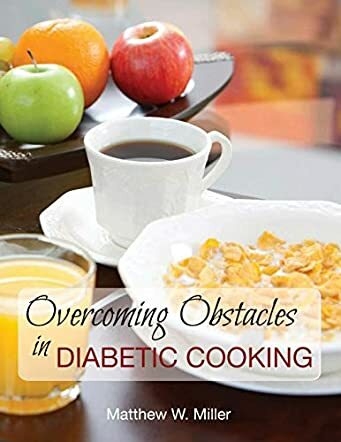 Overcoming Obstacles in Diabetic Cooking by Matthew W. Miller is a great go-to source for recipes, tips, and resources geared toward those with diabetes. Inside the book, the reader will find an introduction about why this book was written, who can use this book, themed word searches and crossword puzzles to figure out and have fun with, and recipes such as stir-fry, waffles with sugar-free syrup, taco salad, salsas, and more. There are also Bible verses sprinkled throughout the book for inspiration, and resources at the end which include books, magazines, websites, and restaurants for the reader to view at their leisure. Taking cookbooks to the next level with all of these interactive features, Overcoming Obstacles in Diabetic Cooking was a joy to read. The book is nicely laid out with an introduction, puzzles, and then the recipes followed by helpful resources. The recipes were great and easy to follow, with clear directions and measurements. I truly wished there had been even more of these fabulous recipes for those with diabetes! One particular recipe I enjoyed was the holiday vegetables recipe, in which the recipe can be changed or varied depending on the holiday —green vegetables for St. Patrick’s Day, for example. I also enjoyed the desserts section and the smoothie idea with the Splenda. Author Matthew W. Miller definitely connects with his topic and is passionate about aiding people in diabetic cooking, exercise, and lifestyle. I would recommend this book to any diabetic friend or relative of a diabetic for recipes, ideas, and inspiration!